Members of SWORD win against Wangan Rengogun, which is led by Kohaku . The city becomes peaceful again. Nevertheless, the most brutal gangs appear. 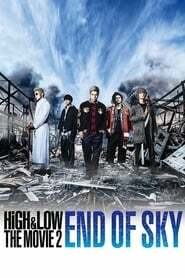 The gangs are Doubt, led by Ranmaru Hayashi , and Prison Gang, led by Jeshi . These gangs try to dominate the area controlled by SWORD. The new gangs also go up against other gangs in the area. Finally, Doubt, with the help from Prison Gang, challenges White Rascals to fight.